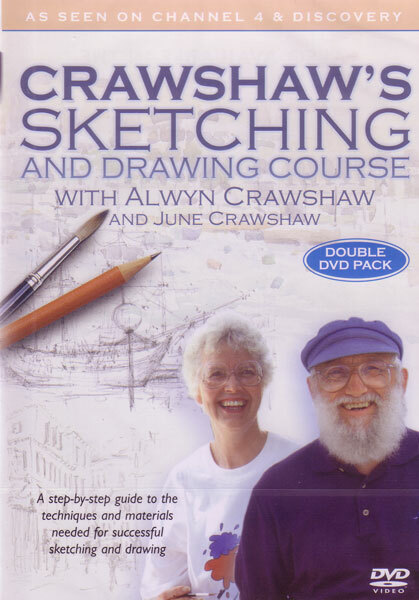 Alwyn and his wife June co-present the series and give advice on sketching people, animals, plants, boats and buildings. Each programme includes demonstrations of different sketching media, including pencils, pastels, felt-tips, charcoal, oils and watercolour. How to use a pencil, the different types of pencils and drawing papers, an information sketch of a palm tree, a watercolour sketch of a fruit stall and a three minute sketch of a fish. Finding 'eye-level', the importance of the vanishing point, sketching a bell tower and a three minute sketch of Alwyn in a hammock. How to measure successfully, how to use coloured pencils, two sketches of quite different buildings and a three minute sketch of a chair. Also, sketching with charcoal. 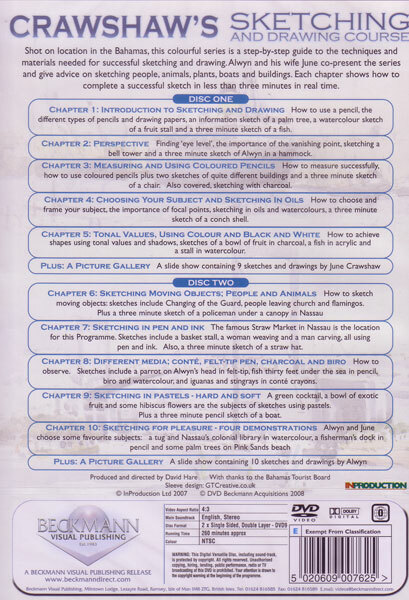 How to choose and frame your subject, the importance of focal points, sketching in oils and watercolours, and a three minute sketch of a conch shell. How to achieve shapes using tonal values and shadows, sketches of a bowl of fruit in charcoal, a fish in acrylic and a stall in watercolour. How to sketch moving objects. Sketches include Changing of The Guard, people leaving church and flamingos, plus a three minute sketch of a policeman under a canopy in Nassau. The famous Straw Market in Nassau is the location for this programme. Sketches include a basket stall, a woman weaving and a man carving, all using pen and ink. Also, a three minute sketch of a straw hat. How to observe. Sketches include a parrot on Alwyn's head in felt-tip, fish thirty feet under the sea in pencil, biro and watercolour, and iguanas and stingrays in conte crayons. A green cocktail, a bowl of exotic fruit and some hibiscus flowers are the subjects of sketches using pastels. Plus, a three minute pencil sketch of a boat. In the final programme, Alwyn and June choose some favourite subjects: A tug and Nassau's colonial library in watercolour, a fisherman's dock in pencil and some palm trees on Pink Sands beach.